I poured hours and hours of my childhood into Oregon Trail. Perhaps that’s why I love survival strategy games so much. So when Frost for Nintendo Switch came across the review pile, I was intrigued. 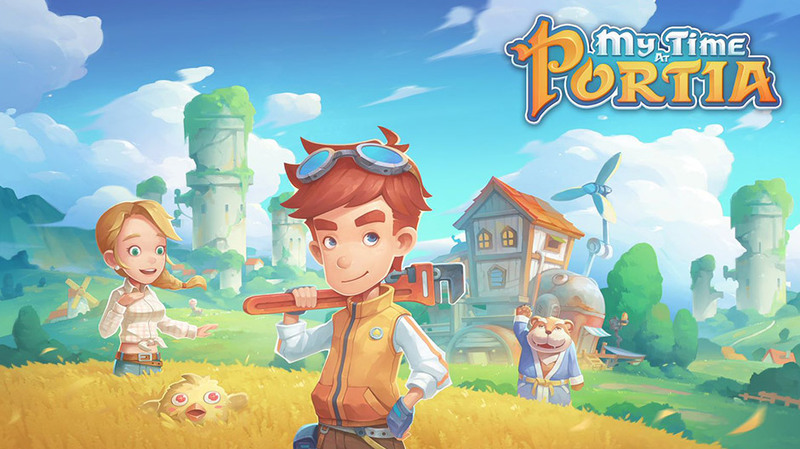 It combines the resource management survival strategy elements of games like Oregon Trail with card game mechanics, creating an interesting but often frustrating experience. There’s not much going on here narratively, except the most basic scenario. You are the leader of a band of survivors in a frozen wasteland, and must lead them to shelter before the wave of frost catches up with you. Simple enough, but not that engaging. There is a scenario mode where you assume the role of a more specific character, but the story doesn’t get much deeper. 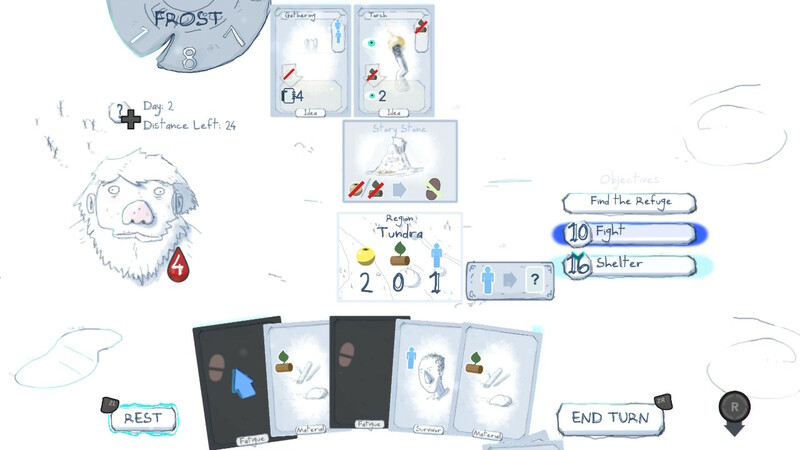 For instance, one scenario sees you adopt the role of a father and some of the cards are your family which you must protect on your way to the refuge. 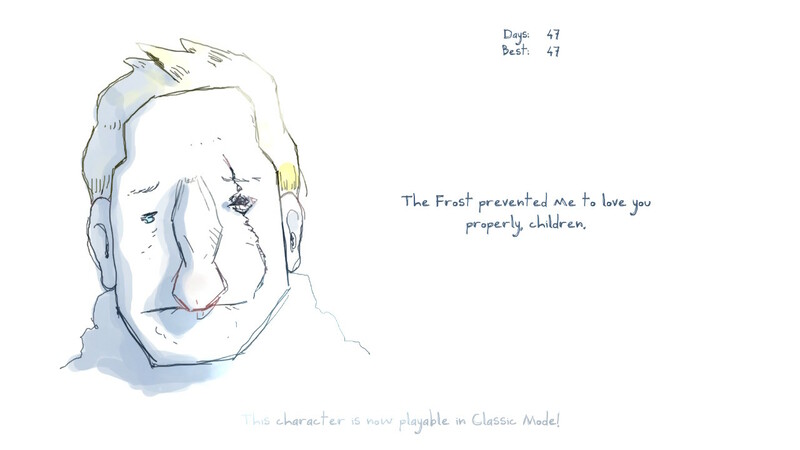 Still, it helps me relate to games better when there’s a scenario around it, so I appreciated the effort. 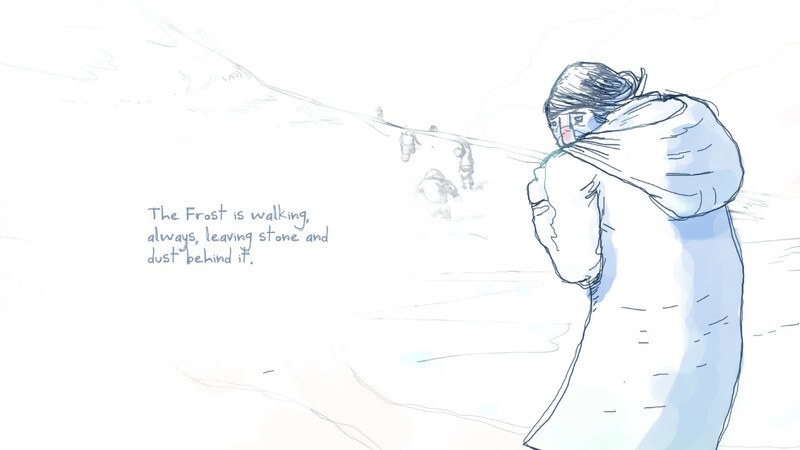 Frost’s journey to safety has some simple basics with some obstacles along the way. Each game begins a set distance away from shelter, and that distance is the number of scenarios you must complete to win the game. There are three basic resource cards that you begin with in your deck; food, materials, and survivors. These resources are used to complete area requirements so you can move to the next area or buy new, more advanced cards for your deck. 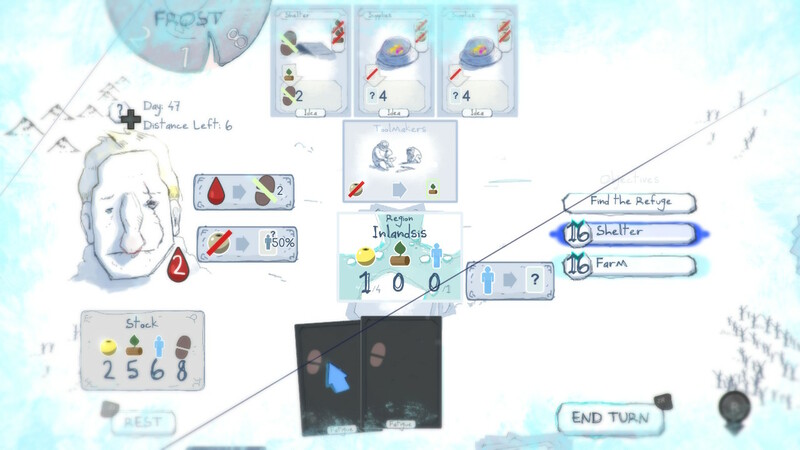 In the upper left corner is the frost counter, which displays the number of turns that can pass before the frost overcomes your party. Completing an area adds a turn to that counter, but resting or ending your turn before completing an area subtracts a turn from the counter. There is no limit to the number of turns you can take in an area, but you’ll want to keep it to as few as possible. Most areas come with a scenario card that can either help or hinder your journey. Some are benign, such as a trading post where you can trade a resource card for another type of resource card which you can use to complete the area. Sometimes this means nothing, as the item you can trade for isn’t one needed to complete the area. There are also some scenario cards that can cause damage if they are not resolved, like wolves or cannibals. For these cards, you can either pay resources to make them go away, or use idea cards to fight them. Moving to another area without resolving these attack scenarios will cause to lose a health point unless you sacrifice a survivor resource card. You only get four health points, so they’re hard to come by. 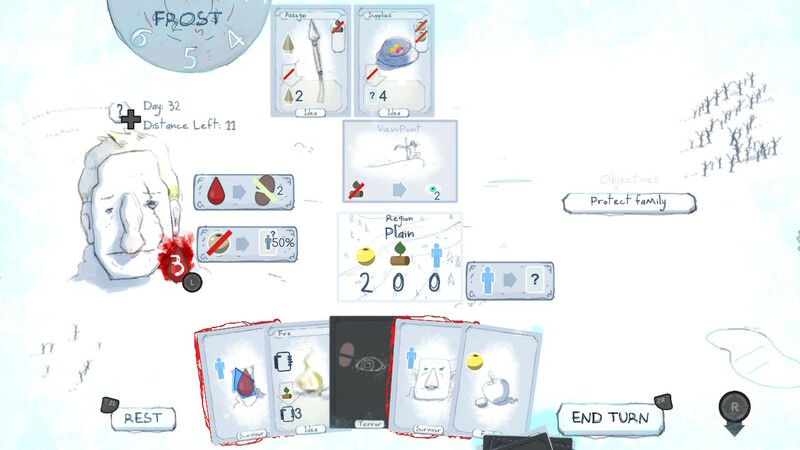 Every turn, an idea card is generated along the top of the screen. Paying the idea card’s cost in materials adds it to your deck. Some idea cards let you trade one resource for another, some let you search for random cards, some let you scout ahead to choose your next area, and some generate attack points used to combat obstacle cards. Idea cards are useful for getting out of tight spots or building up your deck with resources, but they also highlight the game’s biggest weakness; idea cards only help if the right ones appear. 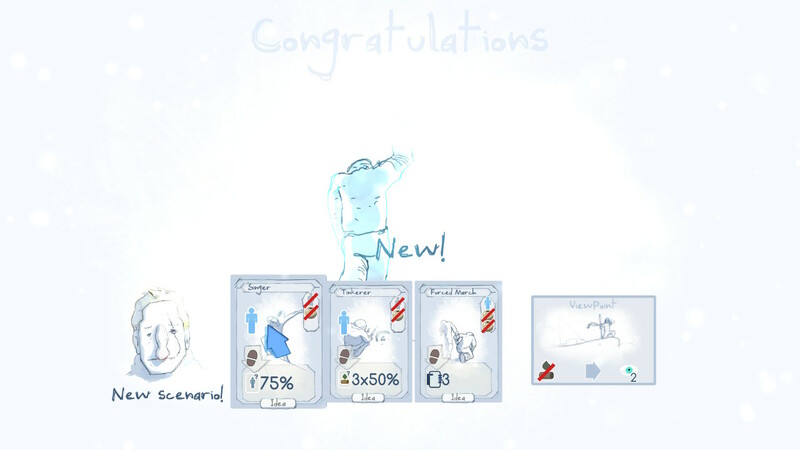 So, basically, no matter how well you manage your resources, everything about Frost really only comes down to luck. If you don’t draw the right cards, you’re completely screwed. The first five games I played all ended the same way; I needed a certain resource, but I just couldn’t draw it and the game was over. So, while the mechanics are solid and actually kind of fun on their own, the execution just ended up being very frustrating since my skill level ultimately mattered so little. 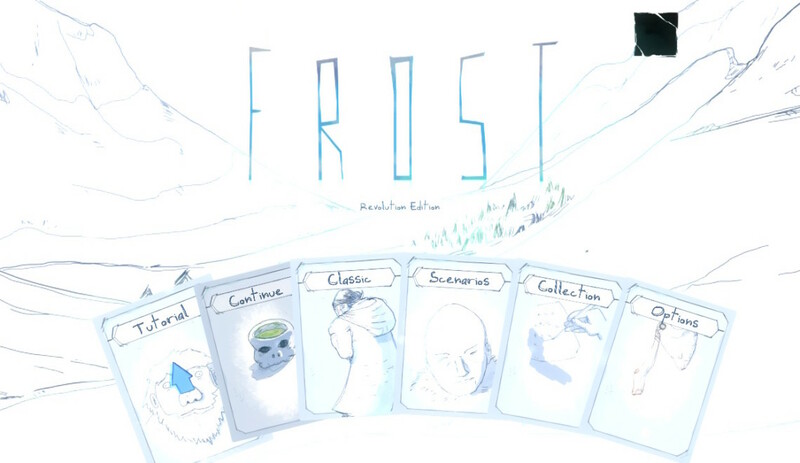 Frost features some very minimalist artwork, but it was nonetheless very attractive. The color palette is overwhelmingly white, which makes sense considering the impending frozen doom descending upon you at all times. The illustration style reminded me very much of the work of graphic novelist Jeff Lemire, if you’re familiar with his work. It uses a very shaky line, which conveys a sense of weariness and fragility to the world. 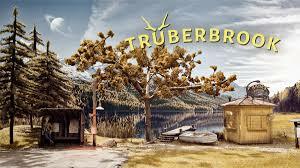 Overall, the graphics weren’t breathtaking, but they built a credible world and offered some visual stimulation to a genre without much in the way of motion. The music was similarly sparse and reserved; most of the time a low, haunting chant hums over a slow drumbeat, creating the impression of what must be a plodding pace for the pack of survivors. This often gives way to the simple sound of wind blowing across the frozen expanse in front of you, further enhancing the desolate nature of your journey. What the game’s world-building lacks in narrative structure, it makes up for in atmosphere. Frost has no motion controls, but it does make use of the Switch’s touch screen in undocked mode. I actually found the touch screen more convenient than the controller for selecting cards, especially in a larger hand. 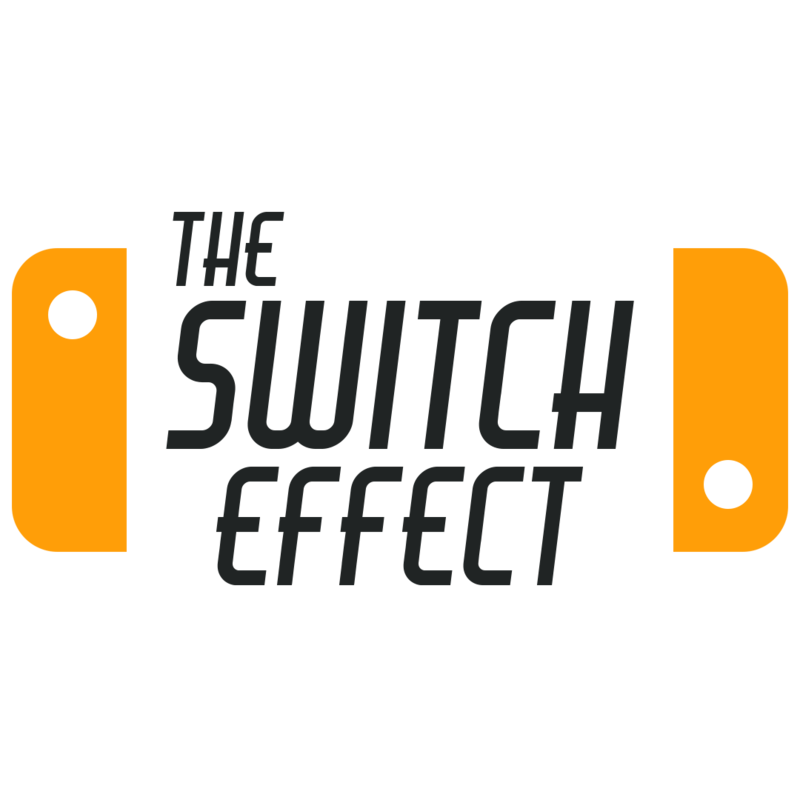 Selecting a new card with the Joycon often had a small delay between pressing the button and the cursor moving. The touch screen, however, was pretty much instantaneous. So Frost is recommended for pay undocked. TL;DR: Great art direction, but the gameplay too often comes down to the luck of the draw.